Maximalism — it’s back in a big way! Gone are the days of paired back minimalism and all white interiors. Now it’s all about patterns, prints, chintz, and wallpaper galore! 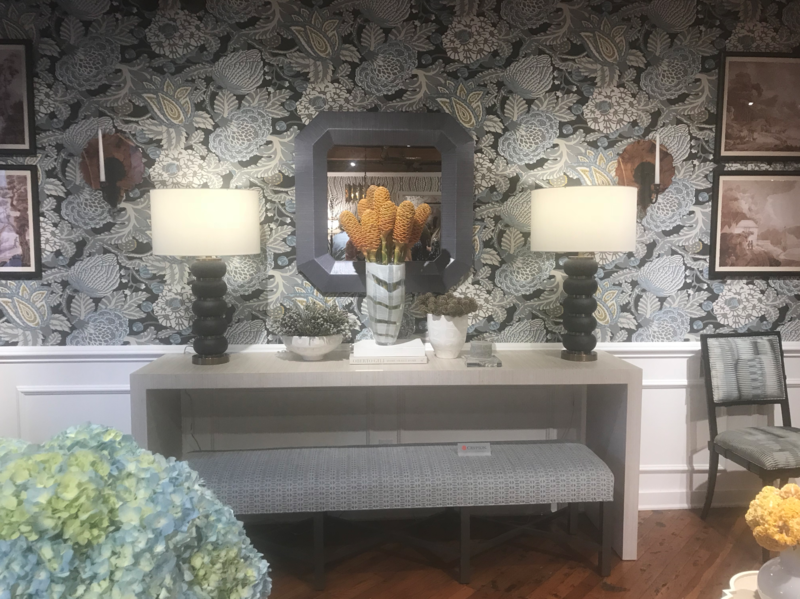 Crypton performance fabric and Thibaut Wallpaper take this space to the max! 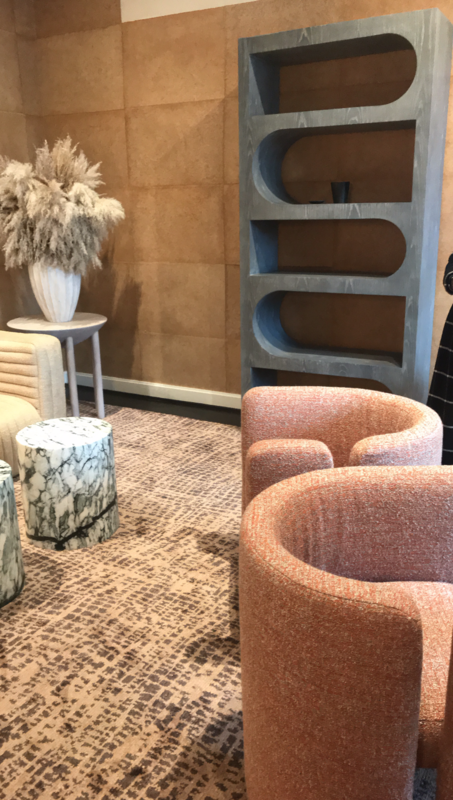 Riffing off the Brutalist architectural movement, edgy block-like shapes and solid materials were all over High Point Market this year. 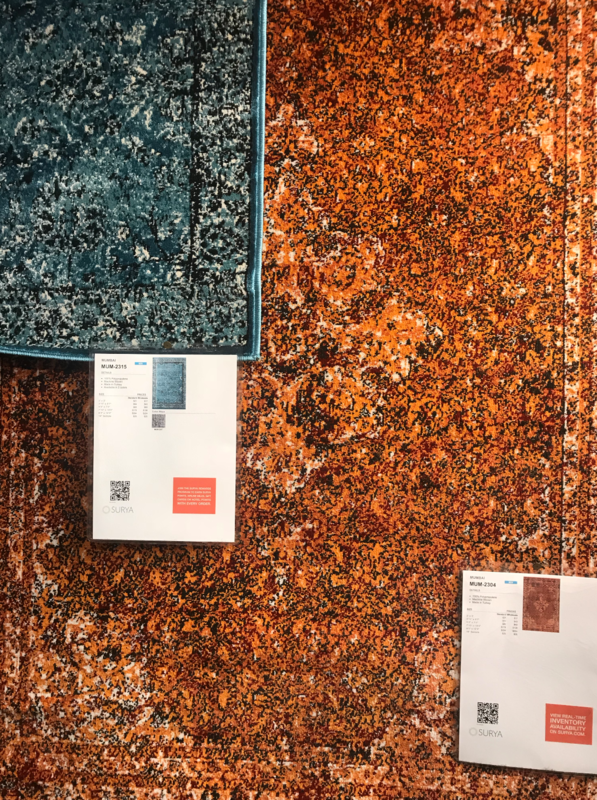 We think this may be the more glamorous, and traditional aesthetic taking over the industrial trend that’s been prominent over the past few years. Bohemian decor is still going strong. And no one does it better than our friends at Selamat. 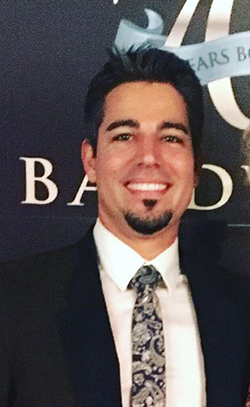 Their collaboration with Justina Blakeney continues to be incredibly popular and somehow gets better every single year! 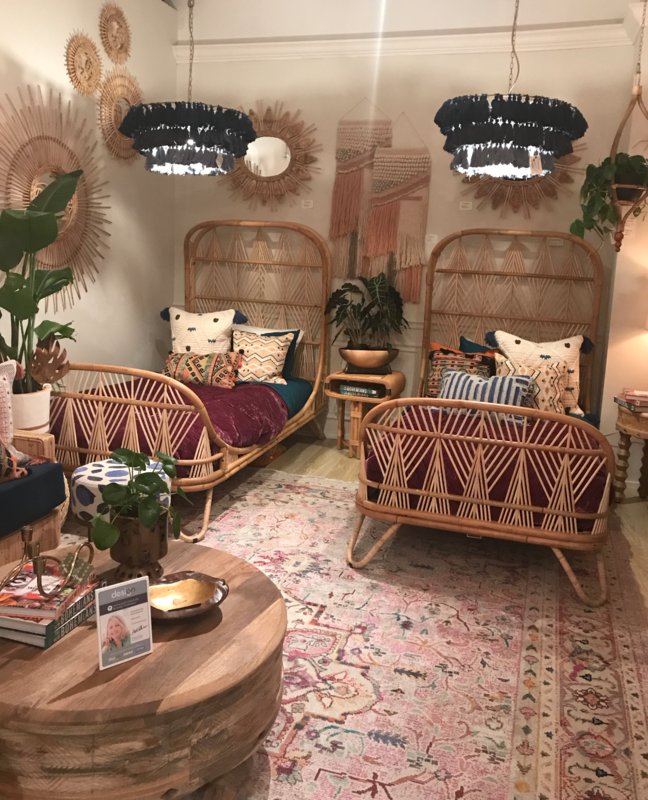 From the rugs to the rattan lighting, these pieces were definitely showstopping. Much of Justina Blakeney’s collection for Selamat Designs is comprised of natural, woven materials, and eclectic colors. Nods at tradition that have a certain je ne sais quois that isn’t quite traditional, nor is it modern. It’s less ornate, less frilly and deviates from the eclectic. Camel & Blush are the new neutrals. Grey has been everyone’s favorite neutral over the past couple years. And the bubble gummy millennial pink has been trending. Add a little brown to both and you’ve got camel and blush: the new neutrals. This one is incredibly specific, but green velvet sofas were everywhere! Last year jewel tones in general were trending. 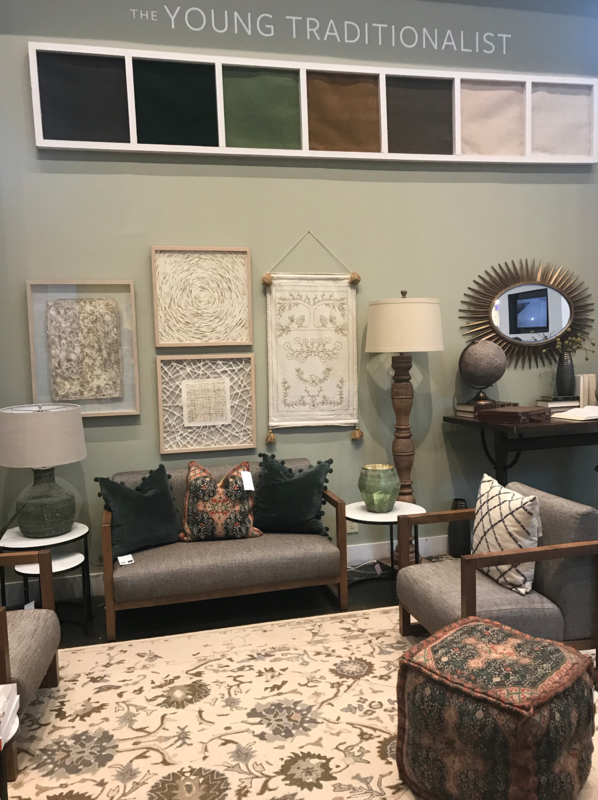 We saw raspberry and deep indigo all over, but this year it was all about the olive and forest green sofa. 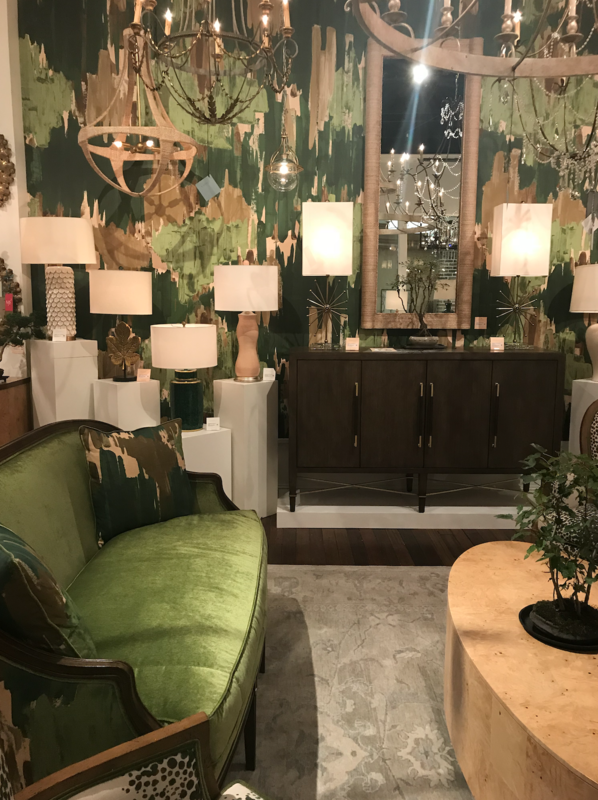 The Currey & Company showroom, noted predominantly for their spectacular lighting, but features some fabulous furniture as well. This green velvet sofa was front and center! Teal and orange are a classic, cinematic color combo that was popping up everywhere. This year was all about high’s and lows. 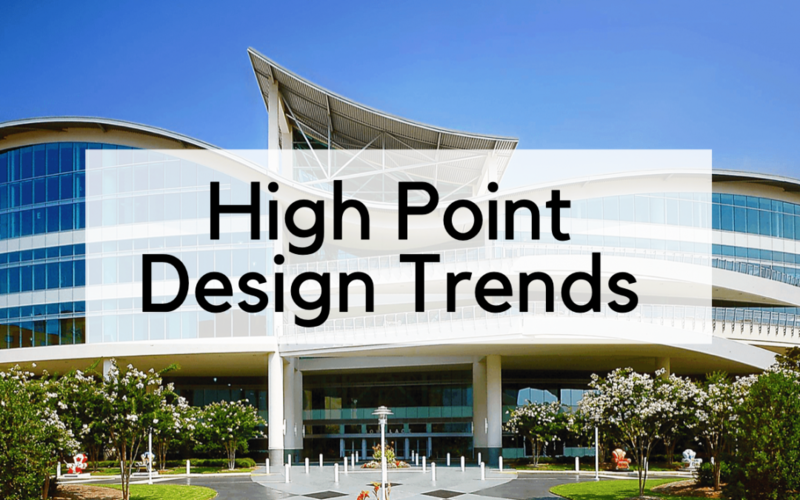 High contrast and bright, bold colors were trending across market. Curvy, feminine lines were all over market. The conversation pit is back, but it looks a little different. It’s a bit more glamorous than before. 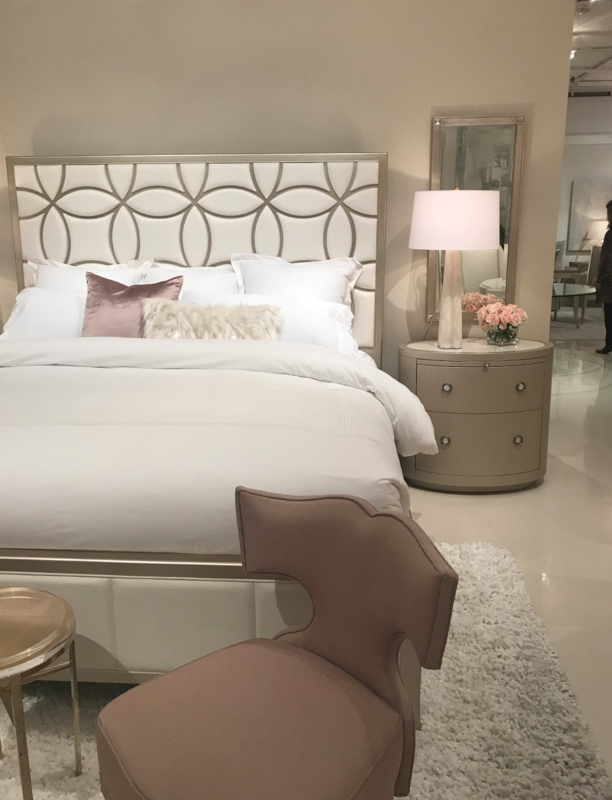 But it’s not just mod furnishings that had the curve going on: We were noticing the curves in traditional pieces as well. 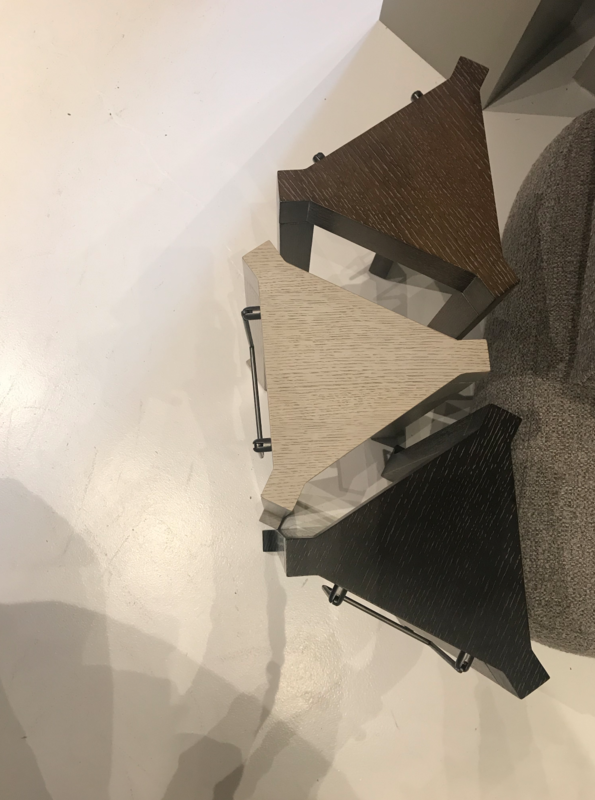 From coffee tables to accent chairs, those brutalist, edgy silhouettes were accentuated by unexpected cutouts. These peep-holes were probably the most unexpected trend we saw across High Point! 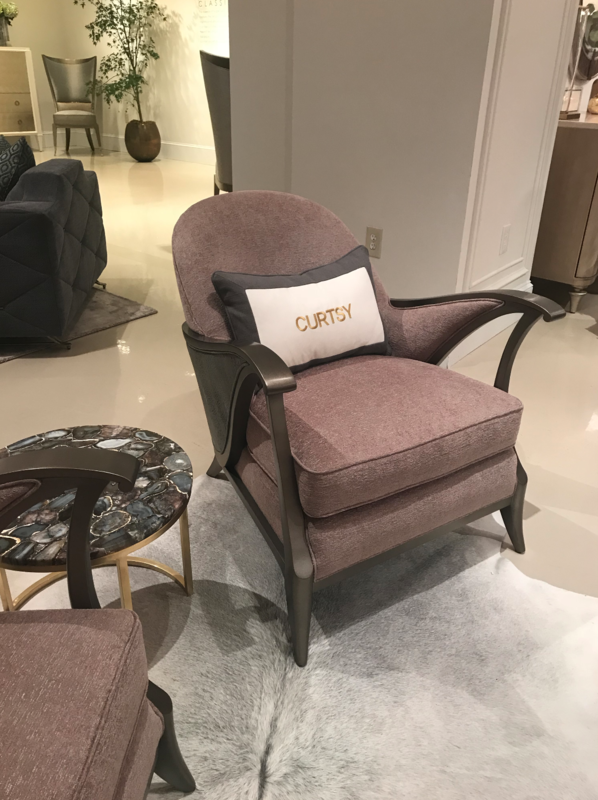 Arm cut outs and striking silhouette: the Caracole Curtsy chair was named because from the side angle it resembles the gesturing of a curtsy. Cane and natural weaves mixed with hard metals in contrasting colors. 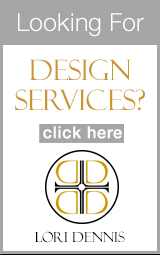 We noticed this all over in a variety of design styles. 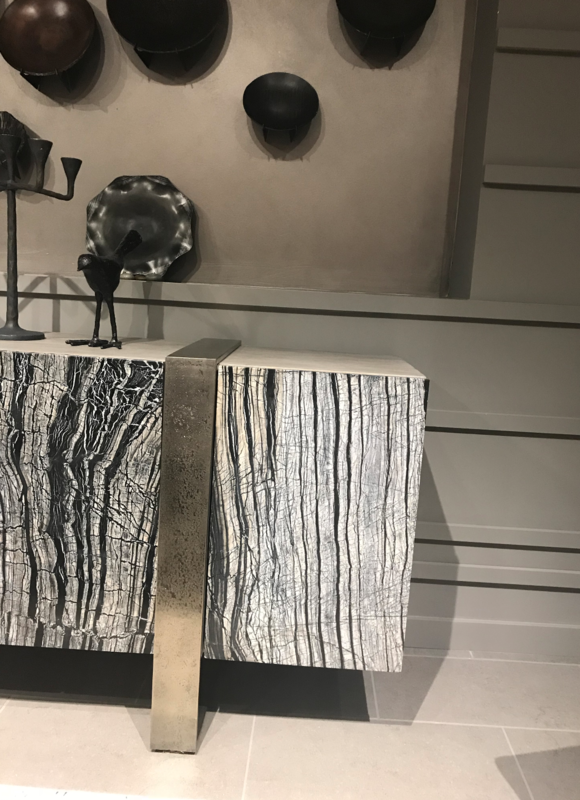 This console from Bernhardt furniture imitates shapes and texture found in nature and is offset by a glamorous metallic base.